Durango's finest shopping and fashion inspiration. Browse destinations for shopping, establishments for gifts and cards, furniture, music and books, electronics, sporting goods, housewares and more. Immerse yourself into the perplexing puzzles at Conundrum. Assemble your team and take on our creative challenges, designed to exhilarate while promoting critical thought. Cutting-edge treatment at competative prices. Come embrace tranquility at the Spaaah Shop & Day Spa, located in Historic Downtown Durango. 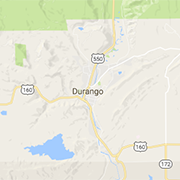 . .
We're passionate about Durango. Our mission is to place furniture that is no longer being used into the hands of someone who can relove it.